Talking about pizza, when my husband and I crave for thin-crust Italian pizza, we always wait until we go back to Seremban. There is one pizza restaurant around Taman Industri Oakland area in Seremban run by this Caucasian guy with thick Malaysian accent when he speaks English. My husband's friend introduced this Italian Pizza restaurant to us few months back and we were addicted to this restaurant's pizza ever since. Unfortunately, both of us cannot recall the exact name of the restaurant but this is the only pizza restaurant around the area. Milan Pizza: What we ate back in July. Caesar Salad and Ice Tea: Normal taste. 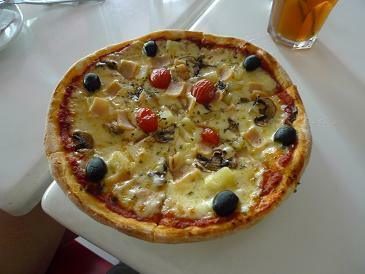 Romano Pizza: Cheese, Olive, Ham, Mushroom, Basil and Cherry Tomatoes. Whitest Calamari I've ever seen. 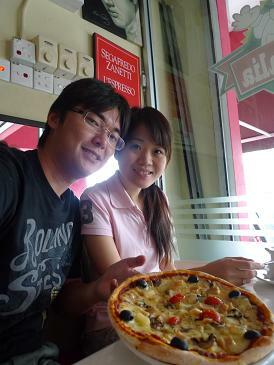 Our Pizza Lunch Date during our November break in Malaysia. 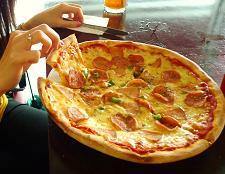 His thin-crust pizza is super nice and other pasta selections are great too. The best part is that the pizza there is relatively cheap even for the large ones (compared to pizza costs in Singapore). Pizza pricing is about RM 16 - RM 24. 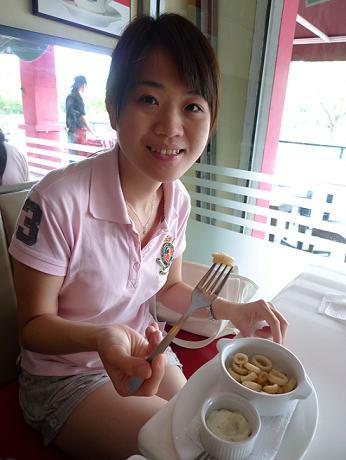 The restaurant ambiance is quiet and there is no long queue in the restaurant. 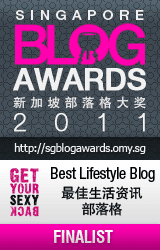 I am so going to force my husband to take me to this place again when we go back to Seremban.